Speed up your office with this new ECOSYS P5026cdn A4 colour printing device. The high-performance print controller, with its 800 MHz CPU, achieves brilliant colour printout results in no time. Moreover, it comes up with a short warm-up phase and reduces the time-till-first-page printing to 9.5/10.5 seconds for b/w and colour. 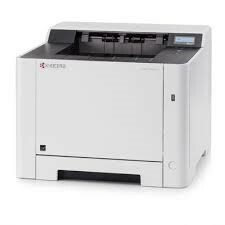 See the manufacturers web site Kyocera ECOSYS P5026cdn for more information.